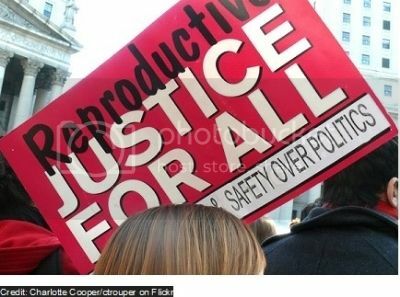 When women talk about reproductive rights and justice they are not only speaking about women’s rights to omprare viagra generico 25 mg consegna rapida a Roma not have children. This is an essential part of reproductive rights: the right to choose not to have children, to have access to birth contraceptives abortion and voluntary sterilisation. But we are http://maientertainmentlaw.com/?search=can-accutane-cause-ear-problems also speaking of the source url right of women to have children and to determine when and how many. This right has been most often denied to working class women, disabled women and to women of colour. Sterilisation abuse and forced usage of birth control against working class women, disabled women and women of colour is part of a long-term agenda of eugenics and neo-Malthusianism. Those are the demands that must be approved by Wednesday. The only thing they forgot to ask for is resignation of the prime minister, his cabinet and the Greek parliament. Basically the Greeks offered the EU everything they had asked for before and then some, but the EU won’t take it, they want their pound of flesh for being embarrassed by the referendum. I get that Syriza and some Greeks don’t want Grexit, and will do virtually anything to avoid it, but I’m hoping (probably vainly) that there might be some depths to which they will not sink, some abasement they will not endure, some calamity they will not inflict upon the weakest and poorest in their own society. Probably not. Not quite sure why I still have faith in humanity to ever do the right thing when any other option exists. On Sunday Greek voters went to the polls to vote on a simple referendum on a bail out deal proposed by the country’s international creditors, which demanded new austerity measures in return for emergency funds. A simple yes or no. The voters gave a resounding NO to the deal. The win for the “no” camp constituted a major victory for Greek Prime Minister Alexis Tspiras, who had campaigned heavily against the deal put forward by the European Central Bank, the International Monetary Fund and the European Commission. But it also raised uncertainty about the country’s financial future and its place in the eurozone. “Even in the most difficult circumstances, democracy can’t be blackmailed — it is a dominant value and the way forward,” Tsipras tweeted on Sunday night, adding that Greece intends to restart negotiations with Europe next week. A final tally of votes indicated that 61.31 percent of voters decided against the bailout deal. More than 60 percent of Greeks participated in the vote, well over the 40 percent turnout needed for the referendum to be valid. Mr. Varoufakis, an academic with no political experience before he joined the leftist Tsipras government, had consistently argued that Greece desperately needed debt relief more than anything else. While that view was shared by many economists, he quickly became a lightning rod among Greece’s creditors for his aggressive negotiating style and heated language. Before the referendum vote, he had publicly accused the creditors of “terrorism” against his country. With Mr. Varoufakis gone, Greece’s eurozone creditors may be more willing to continue negotiations on a further aid package. His departure, apparently at the urging of Mr. Tsipras, could be seen as a concession to the sensibilities of other eurozone leaders. But the next few days could determine whether the gulf between Greece and its creditors is now too wide to bridge. You can read his resignation statement here. He has been replaced by Euclid Tsakalotos, another academic economist, but not as vocal as Mr. Varoufakis and, apparently, more acceptable to Eurogroup participants. At midday in New York, stocks were just below break-even. The Dow Jones industrial average was down 0.2 percent, while the Standard & Poor’s 500-stock index was off 0.3 percent. The euro ticked down 0.4 percent to $1.1033. In Asia on Monday, the Shanghai market jumped sharply in early trading as the Chinese government poured money into brokerage firms to help them and their customers buy shares. The market leapt 7.8 percent at the start, but it surrendered half of those gains in the first 10 minutes of trading and closed 2.4 percent higher. The smaller Shenzhen stock market also started strongly but fell 2.7 percent by the end of trading. The German government signaled a tough line towards Greece on Monday, saying it saw no basis for new bailout negotiations and insisting it was up to Athens to move swiftly if it wanted to preserve its place in the euro zone. With opinion towards Greece hardening in Germany’s ruling coalition following the landslide rejection of European bailout terms in a Sunday referendum, the government indirectly raised the prospect of a Greek exit from the currency bloc. Pressed on what concessions Berlin might be willing to make to Tsipras, a finance ministry spokesman dismissed the idea of a debt restructuring sought by Athens and favored by the International Monetary Fund (IMF). Thomas Piketty isn’t mincing words when it comes to the Greek debt crisis. Greece on Sunday voted a resounding “no” on a bailout plan proposed by its creditors, making its continued membership in the eurozone more tenuous. German Chancellor Angela Merkel and French President Francois Hollande will hold an emergency summit on Tuesday to discuss the crisis. But Piketty, who penned the blockbuster 2013 book on income inequality Capital in the Twenty-First Century, slammed conservatives who favor the economic austerity measures Germany and France are demanding of Greece, saying they demonstrate a “shocking ignorance” of European history. Germany, Piketty continued, has “no standing” to lecture other nations about debt repayment, having never paid back its own debts after both World Wars (pdf). The truth is that Europe’s self-styled technocrats are like medieval doctors who insisted on bleeding their patients – and when their treatment made the patients sicker, demanded even more bleeding. 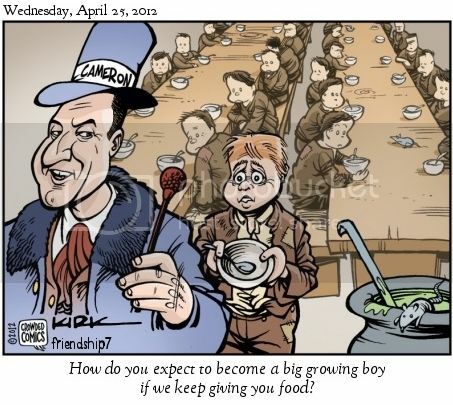 A “yes” vote in Greece would have condemned the country to years more of suffering under policies that haven’t worked and in fact, given the arithmetic, can’t work: austerity probably shrinks the economy faster than it reduces debt, so that all the suffering serves no purpose. The landslide victory of the “no” side offers at least a chance for an escape from this trap. However, despite the responses of media outlets and many pundits that the Eurocrats will have to beeat a retreat and offer Greece concessions, it’s not clear that this event strengthens the Greek government’s hand with its counterparties. Remember, Tsipras enjoyed popularity ratings of as high as 80% and has always retained majority support in polls. And it’s all too easy to forget that “the creditors” are not Merkel, Hollande, Lagarde and Draghi. The biggest group of “creditors” are taxpayers of the 18 other countries of the Eurozone. The ugly design of the Eurozone means that the sort of relief that Greece wants most, a reduction in the face amount of its debt (as opposed to the sort of reduction they’ve gotten, which is in economic value, via reductions in interest rates and extensions of maturities) puts the interest of those voters directly at odds with those in Greece. Our understanding is that a reduction in principal amount, under the perverse budgetary and accounting rules of the Eurozone, would result in those losses showing up as losses for budget purposes, now. They would need to be funded by increased taxes. Thus a reduction in austerity for Greece, via a debt writeoff, simply transfers austerity from Greece to other countries. It’s not hard to see why they won’t go for that. And Eurozone rules require unanimous decisions. Even though the ruling coalition had said it wanted to restart negotiations immediately upon getting a “no” vote, the lenders have asked Greece to send a new proposal, apparently deeming the one it submitted on June 30 to be out of date. It’s doubtful anything will happen before the Eurogroup meeting tomorrow. The Greeks have said enough! 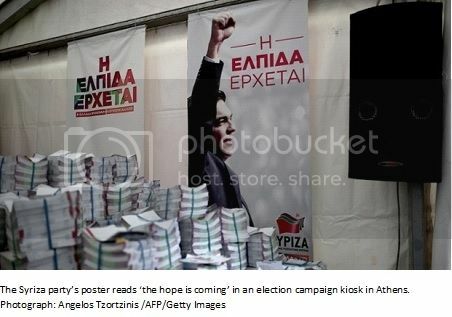 Hope has defeated fear and SYRIZA has won the election and have beaten New Democracy and the fear-mongers, as expected. This is a major victory for anti-austerity forces which could change the economic and political landscapes. However, they did not win an outright majority (they were short 2 seats) and were forced into coalition with a right-wing, nationalist (pro-Greek Orthodox) anti-austerity party, the Independent Greeks (referred to as ANEL from now on). Irrespective of this, we do have quite a lot to celebrate! The election of SYRIZA is a shot directly across the bow of neoliberalism and its flagship of ideas, aka as the austerity project. The European ruling class (which includes mainstream political leaders) are a wee bit shaken especially Germany. Whether or not the Troika is forced to negotiate the debt successfully, this is a victory and it is forcing the ruling class in Europe to take stock over whether austerity (and destroying the working class) is more important than the EU project. The stakes are literally that high! Most probably people have heard of the bizarre investigative journalism by The Mail on Sunday in an article which appeared on Easter Sunday (of all days in the year). 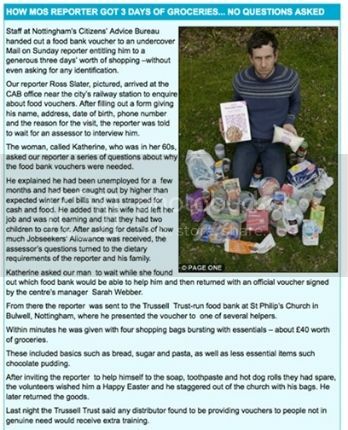 The Mail on Sunday sent in a reporter, a wannabe Jimmy Olsen, to investigate provision of food by food-banks in Britain and that reporter literally took food out of the mouths of the hungry in order to prove some point. This provoked a backlash on social media that demonstrated that the neoliberal agenda seems to not have sunk too deeply in the hearts and minds of the British people. That is a relief and quite honestly more than I expected, given the constant barrage in the newspapers and on the news on telly that has never questioned the logic (forget the morality) of welfare caps and cuts to welfare benefits. 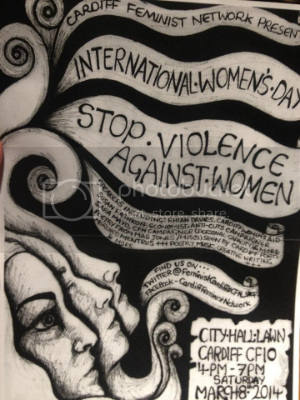 This year, I was invited to speak at an international women’s day event by the sisters of the Cardiff Feminist Network as part of a series of actions which included a Take Back the Night march, a pro-choice rally and then an event in a park in which there was poetry and various speakers addressing a number of topics including feminism, violence against women, the oppression of Palestinian women, and my talk on the impact of austerity on women in Britain. There was food, a wonderful audience of committed feminists taking place in a public park where in effect since there was no license or permission, the group had taken use of public land to have a celebration of International Women’s Day. My talk was kindly taped by a friend and comrade, Nick Hughes, who then posted it on facebook and on then youtube. The talk was long, not because it was planned that way; but one person who was supposed to speak was late and the food was not ready to be served. So, since I carry around so much information with me when I am planning to speak, I was able to talk for almost a half hour. So today’s anti-capitalist meetup will actually be like a meetup. That is, we will have a speaker (me), my talk (minus the spontaneous bad jokes and righteous anger) will be here to read. Then we can actually have a discussion on the topic, since the speaker is right here. This was supposed to go up on the 16th of March, but was preempted by the deaths of Bob Crow and Tony Benn which needed to be commemorated. The issues addressed in my piece, unfortunately, are still extremely relevant. This piece is a summary of a paper that I presented at the Left Forum in a panel organised by Geminijen. If you want to see a copy of the longer paper (which is being edited for English and clarity), send me a personal message here with your email and I will send it to you. Fran Luck who is the producer of the radio series “Joy of Resistance: Largest Minority” on WBAI was in the audience and asked us to appear on her show. If you would like to listen to Geminijen, Diana Zevala (who has written for the ACM on education), Barbara Garson and me, please click here: http://archive.wbai.org/files/mp3/wbai_130703_210001wed9pm10pm.mp3). While in no way denying the impact of the introduction of austerity upon the working class, the disabled and the poor as a whole, there is no question that the impact of austerity on women is far greater. This is due to the job losses in the state sector where women’s labour is predominant, our historically lower wages due to the undervaluation of traditional women’s labour in a capitalist labour market leading to greater dependence upon the social welfare state, and our overwhelming responsibility for reproduction of the working class and how that impacts on our working lives. The failure of the state to provide completely for social reproduction especially in childcare and care for the infirm and disabled has resulted in women having: 1) discontinuous working lives; 2) and the predominance of our labour in part-time employment. With incomes falling in the advanced capitalist world as part of general economic policy, women face greater threats than men due to our responsibility as primary caretakers of children, the disabled and the elderly. Women are facing lower incomes, lower pensions, and an increasing reluctance for the state to support women in the workplace through provision of child-care and after-school programmes and shouldering carer responsibilities for the elderly and infirm. Given the transformations in general employment possibilities towards increasingly underemployed and part-time labour, we will begin to face competition from men for the jobs we have normally held while benefits are increasingly run down. We face increasing economic insecurity without sufficient state assistance to ensure that our children and families can have a decent standard of living provided through employment. Women can no longer depend upon the fact that our labour is of sufficient value to capitalists as men also face increasing precariousness in their employment, and in the absence of a strong labour movement or left-wing movements, can serve the same role of an easily intimidated low-paid work force. The destruction of the public sector enabling the weakening of the last bastion of trade union organisation to force through even lower wages and a reduction in social subsistence levels of wages along with a further deterioration in working conditions on the basis of non-competition with emerging and peripheral economies is nothing less than a race to the bottom and women will be the first, but not the last, victims of neoliberal economics in the advanced capitalist world. This piece will be divided into 3 parts. The first is composed of some general statements on austerity. The second part will discuss the women’s labour market in Britain and the impact of austerity. The third part addresses the attack on the universal social welfare state in Britain and its impact upon women. come acquistare vardenafil senza ricetta Workers take these jobs when there are no better alternatives available. Up host buy cialis uk Steve Kornacki discussed whether the elite consensus on austerity has started to shift and if there is any effect on the opinions in Washington. His guests source link Josh Barro, Columnist, Bloomberg View; http://cinziamazzamakeup.com/?x=come-acquistare-cialis-senza-ricetta-medica Jared Bernsein, former economic adviser to V.P. Joe biden; Lori Montgomery, Economic Policy Reporter, The Washington Post; and Heather McGhee, Vice President, Demos; examine the lessons that can be learned from Europe’s austerity experience and what the US economy will look like if it continues on the austerity path. The panel also discussed how conservative have backed away from cuts to Social Security shifting their focus to tax reform, controlling spending through cost efficient measures and the roadblocks to getting it done. The Urban Institute study found that the racial wealth gap yawned during the recession, even as the income gap between white Americans and nonwhite Americans remained stable. As of 2010, white families, on average, earned about $2 for every $1 that black and Hispanic families earned, a ratio that has remained roughly constant for the last 30 years. But when it comes to wealth – as measured by assets, like cash savings, homes and retirement accounts, minus debts, like mortgages and credit card balances – white families have far outpaced black and Hispanic ones. Before the recession, non-Hispanic white families, on average, were about four times as wealthy as nonwhite families, according to the Urban Institute’s analysis of Federal Reserve data. By 2010, whites were about six times as wealthy. Here is New York in 2013: a city of dazzling resurrection and official neglect, remarkable wealth and even more remarkable inequality. Despite the popular narrative of a city reborn-after the fiscal crisis of the ’70s, the crack epidemic of the ’80s, the terrorist attack of 2001, the superstorm of 2012-the extraordinary triumph of New York’s existence is tempered by the outrage of that inequality. Here, one of the country’s poorest congressional districts, primarily in the South Bronx, sits less than a mile from one of its wealthiest, which includes Manhattan’s Upper East Side. And here, a billionaire mayor presides over a homelessness crisis so massive that 50,000 men, women and children sleep in shelters each night. More New Yorkers are homeless these days than at any time since the Great Depression. The money pouring in at the top of the income brackets has simply pooled there, without trickling down to the bottom or even the middle. This great pooling has occurred as median wages have fallen, the cost of living has increased, and the poverty rate has risen to 21 percent-as high as it was in 1980. As a result, America’s most iconic city now has the same inequality index as Swaziland. The article goes on to say that this isn’t entirely NYC’s fault with the economic shift over the last thirty years to finance but it also pointed out that Mayor Michael Bloomberg’s policies were a largely contributed to the problem. For cities to have sustained success, they must compete for the grand prize: intellectual capital and talent. I have long believed that talent attracts capital far more effectively and consistently than capital attracts talent. The most creative individuals want to live in places that protect personal freedoms, prize diversity and offer an abundance of cultural opportunities. In essence, Bloomberg’s is a vision of the city forged primarily around the care and feeding of thought leaders, professionals and strivers-with little concern, and sometimes active contempt, for the ones who do the care and feeding. (In 2011, 400,000 New York workers, many of whom toil in service sector jobs, were not paid enough to hoist themselves out of poverty.) This is a fundamentally two-tier style of urbanism, one in which a cool, creative and well-managed metropolis glitters like something lovely, its radiance drawing attention away from the dimmed surroundings. But you can see more signs of stress even in the more insulated parts of New York City. Retail vacancies are up, even on the well-trafficked shopping streets, the worst since the post-2009 period. More restaurants seem to be taking a hit too, which suggests that non-expense-account diners are cutting back. And if ZIRP-supported NYC is looking a bit less robust, how well can the rest of the country be faring? The rich get richer and the poor get poorer, but ain’t we got fun?